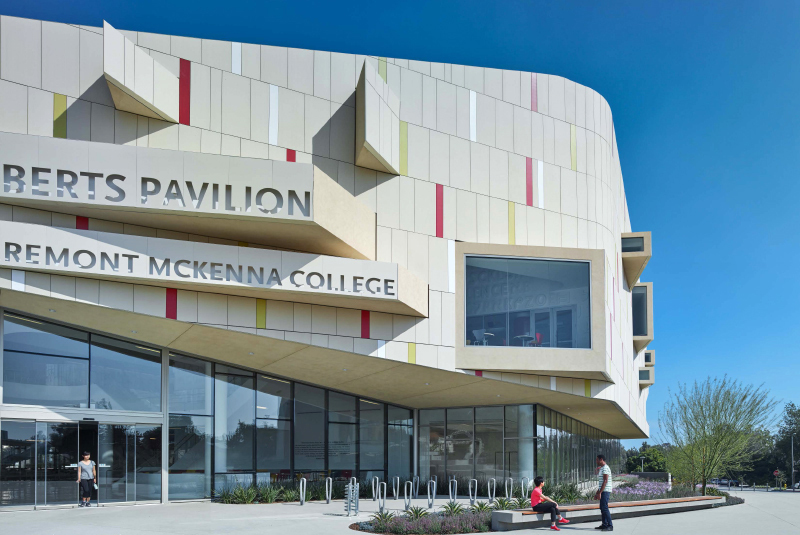 Informing much of this project’s design was the desire to create an iconic and flexible new building. 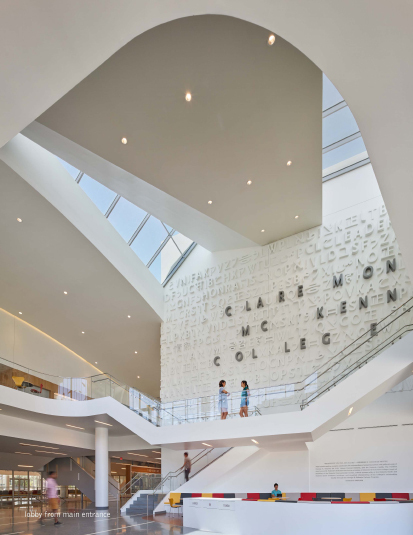 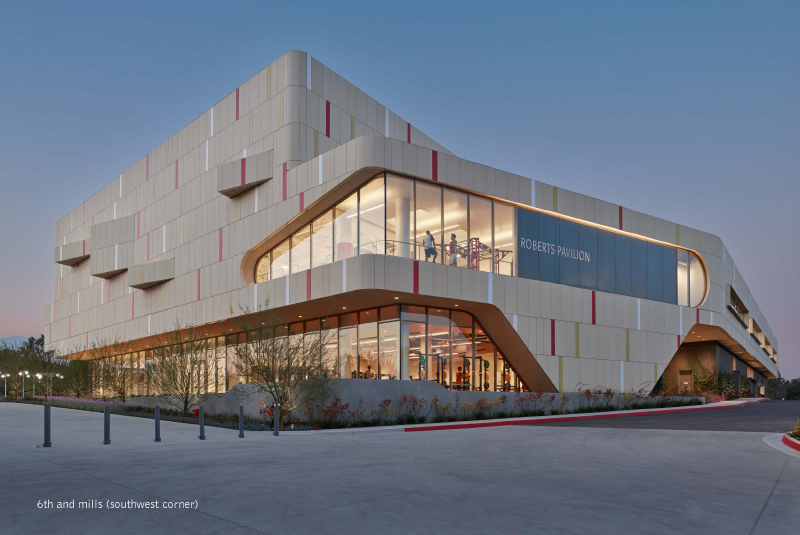 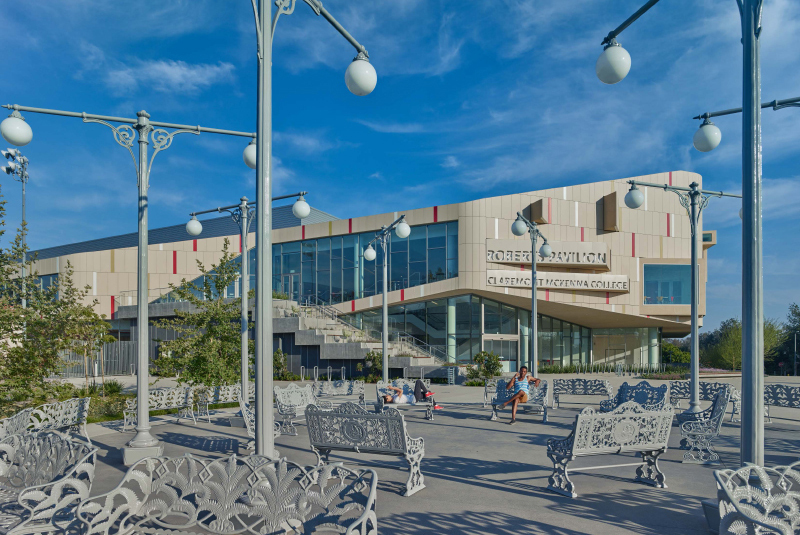 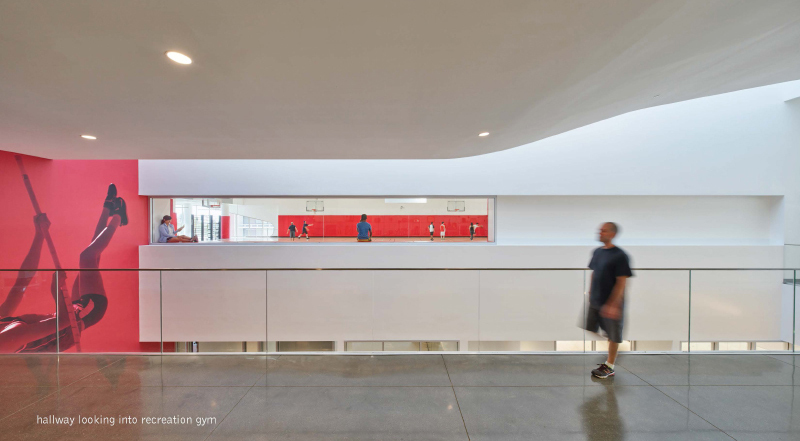 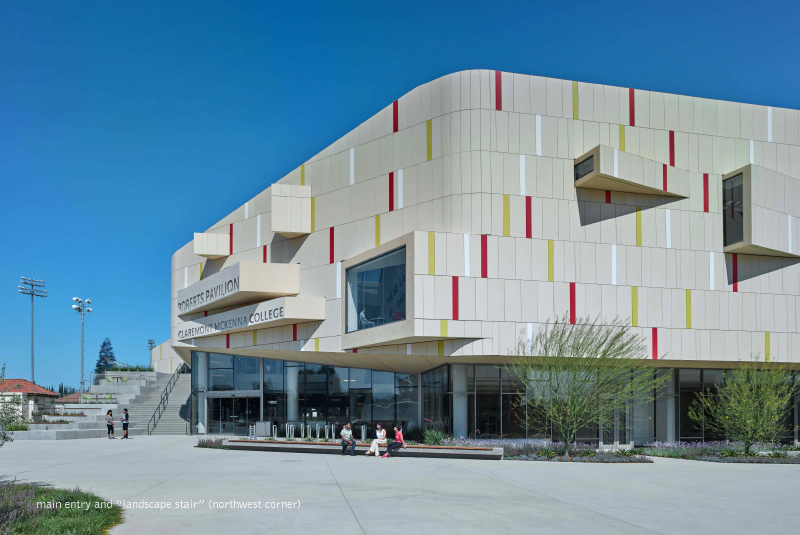 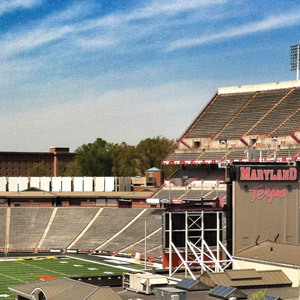 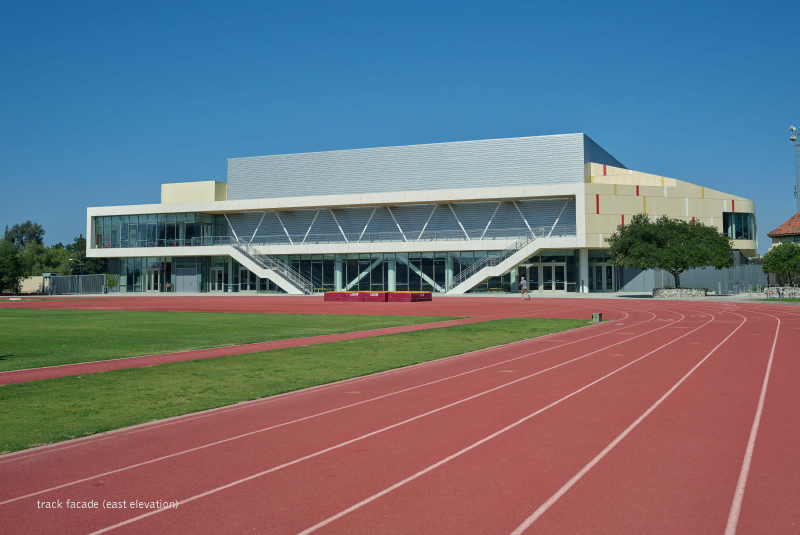 The center’s sculptural form suggests the building’s function as the home of athletics and recreation. 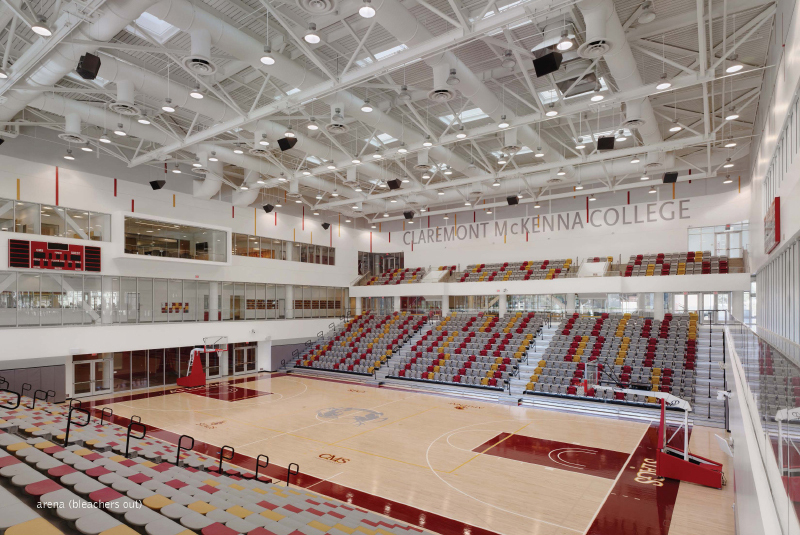 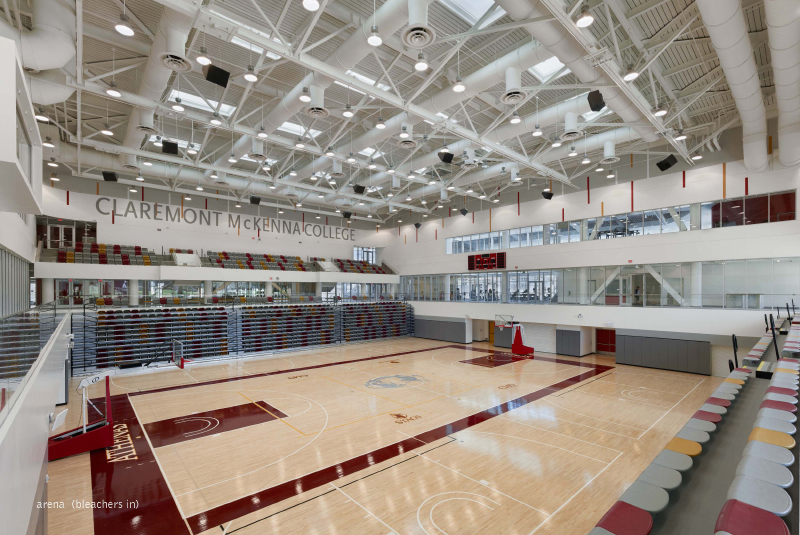 The center houses a gym, a fitness center, workout studios, a sports medicine facility and team rooms. 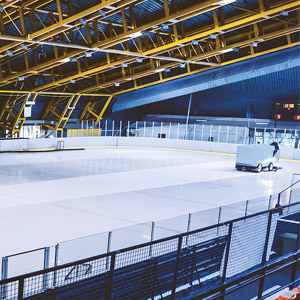 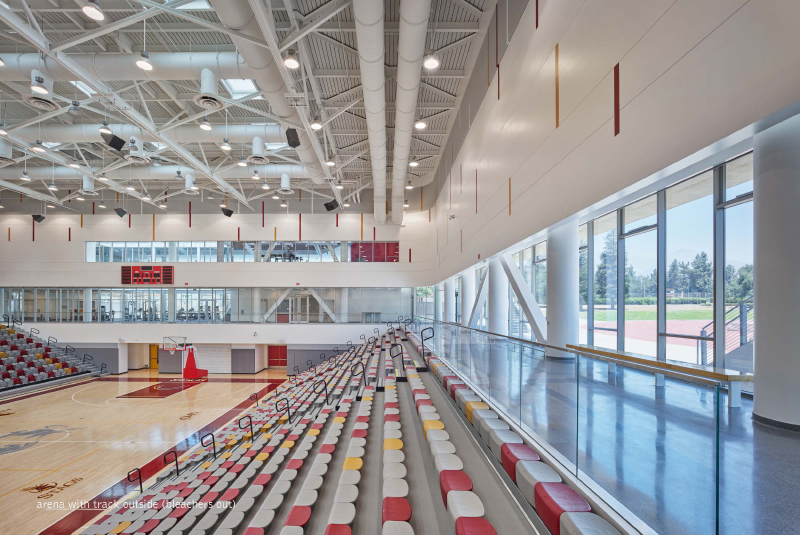 The 2,000-seat arena can also host a range of non-athletic events, such as school convocations, music performances and public lectures. 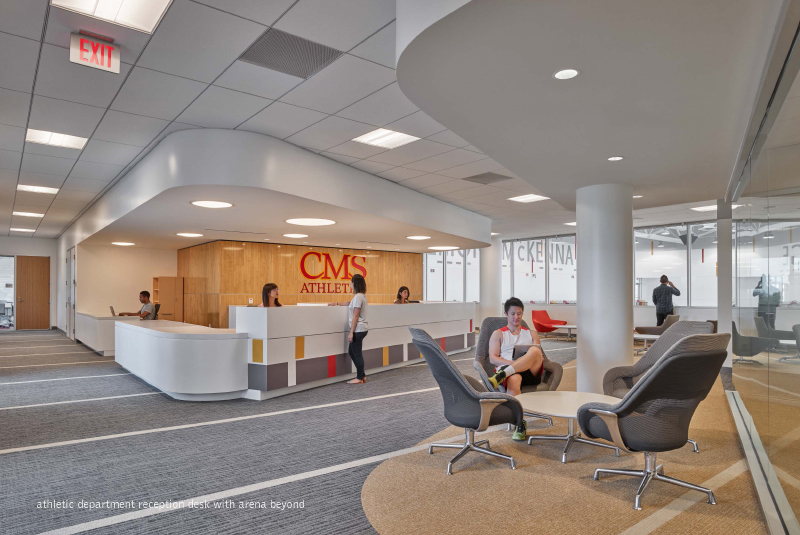 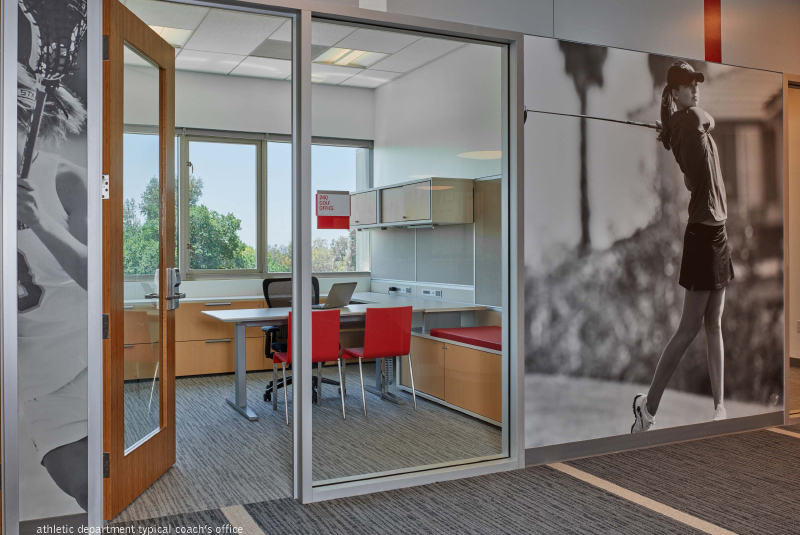 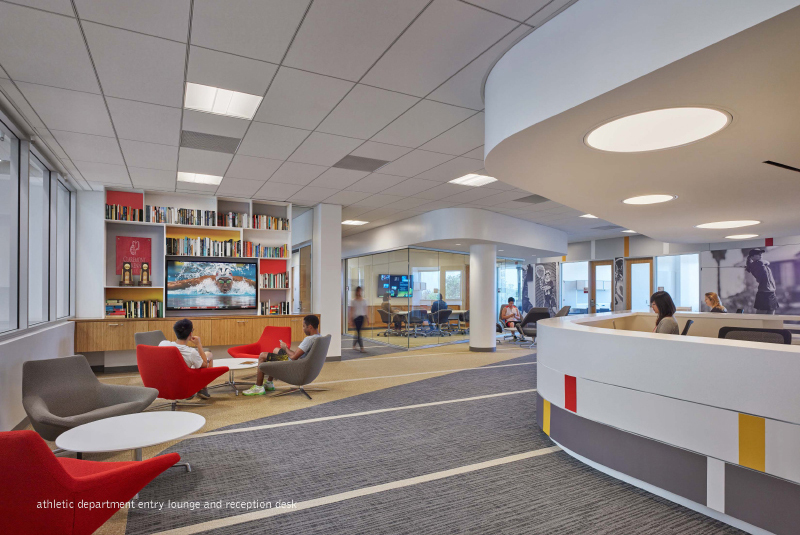 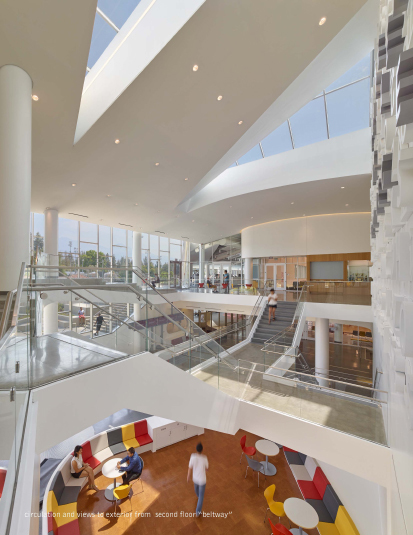 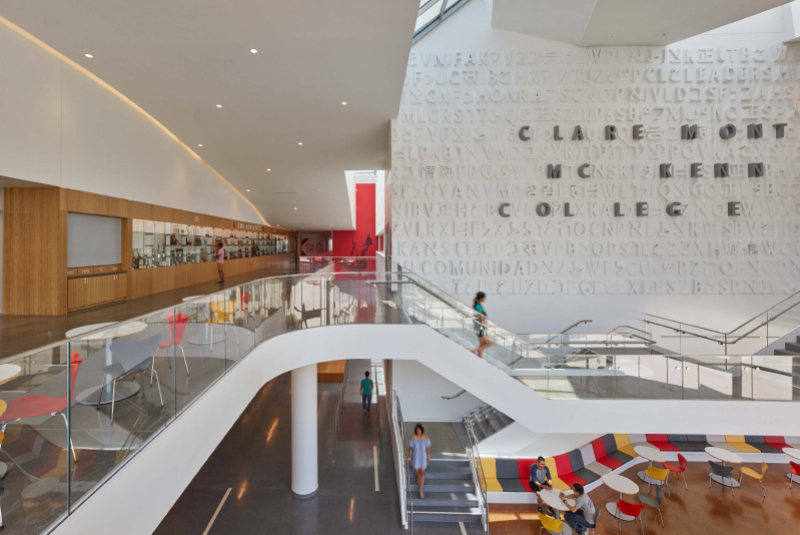 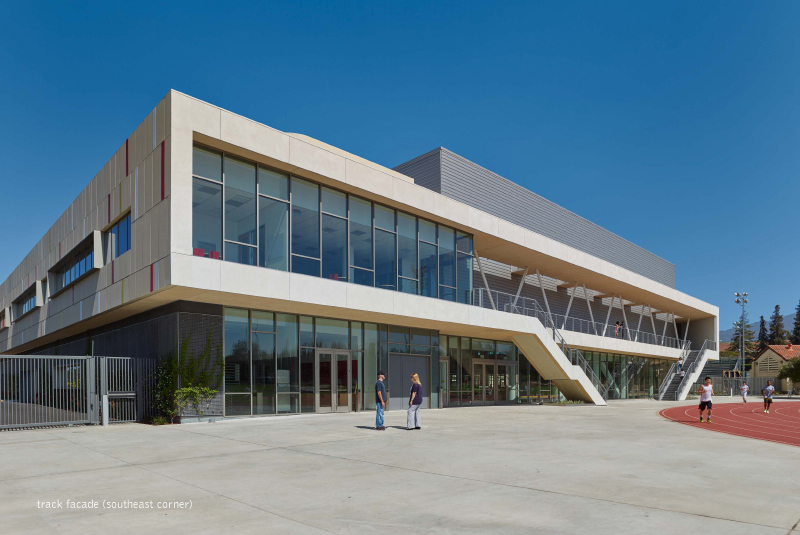 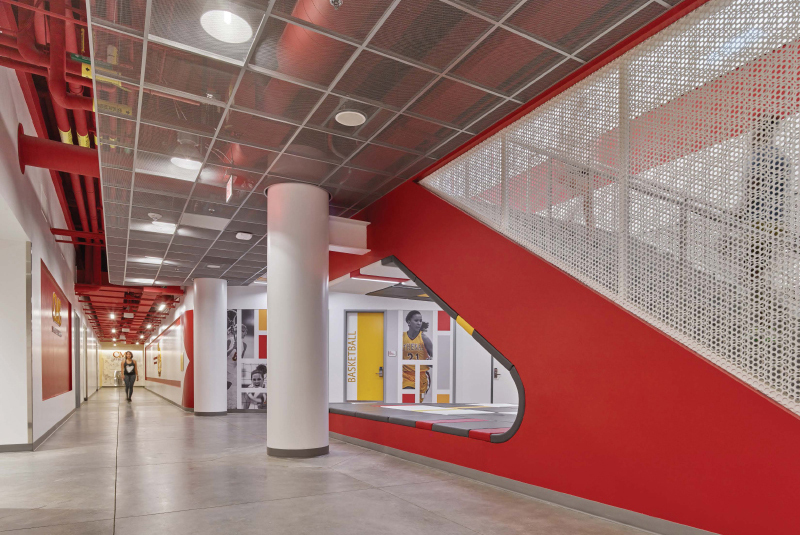 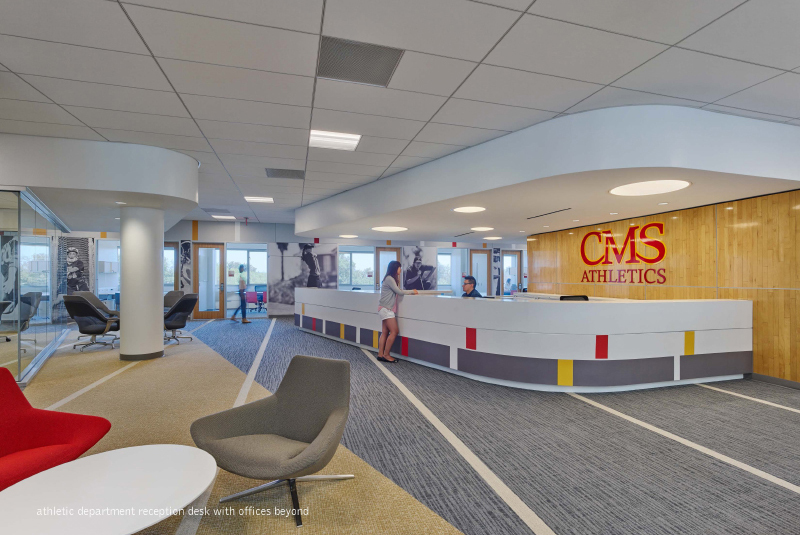 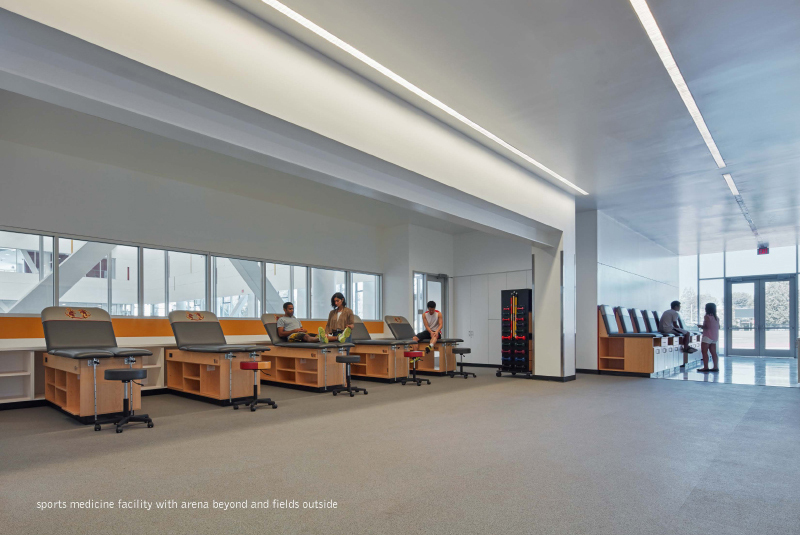 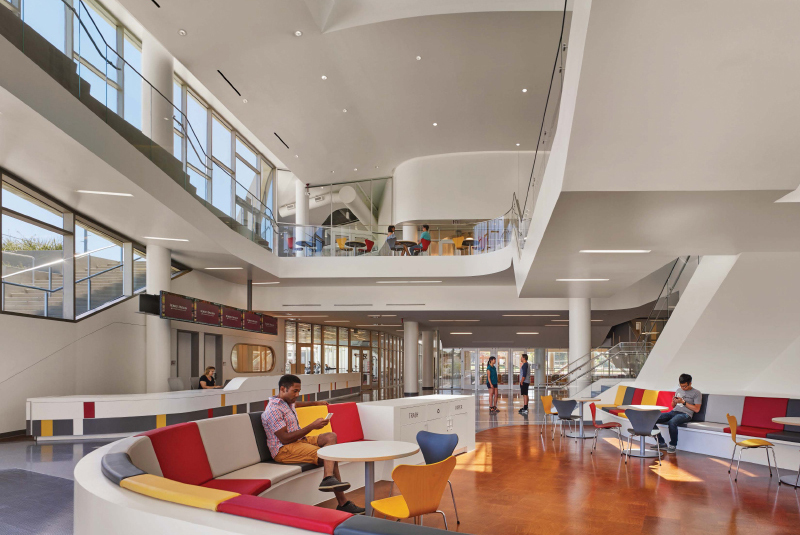 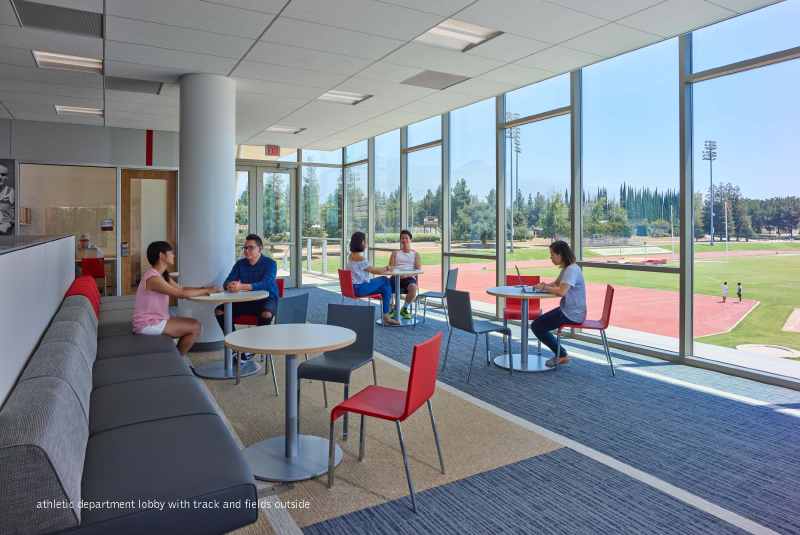 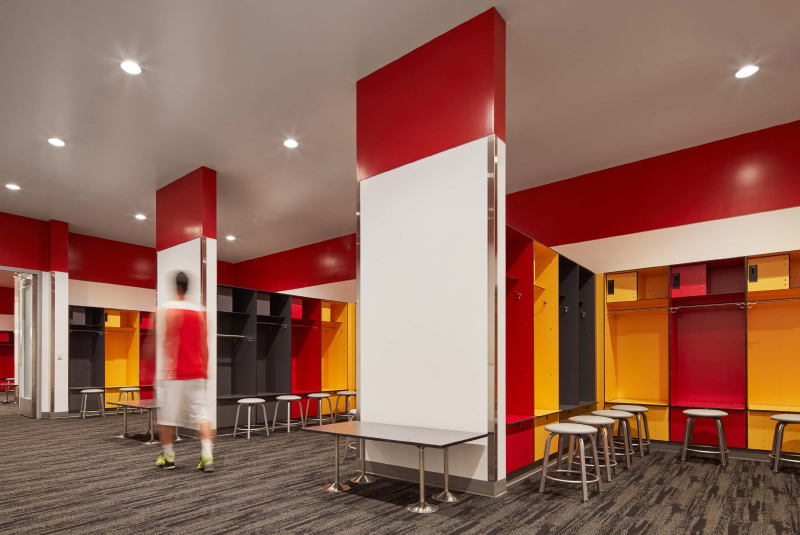 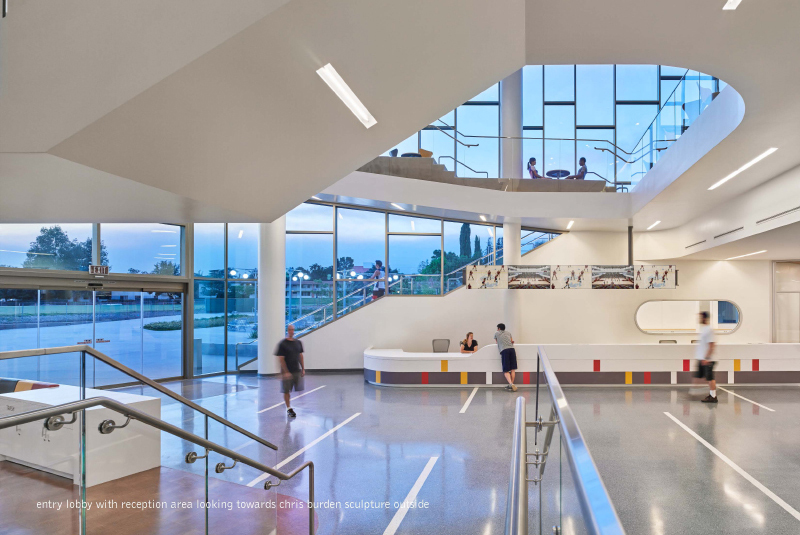 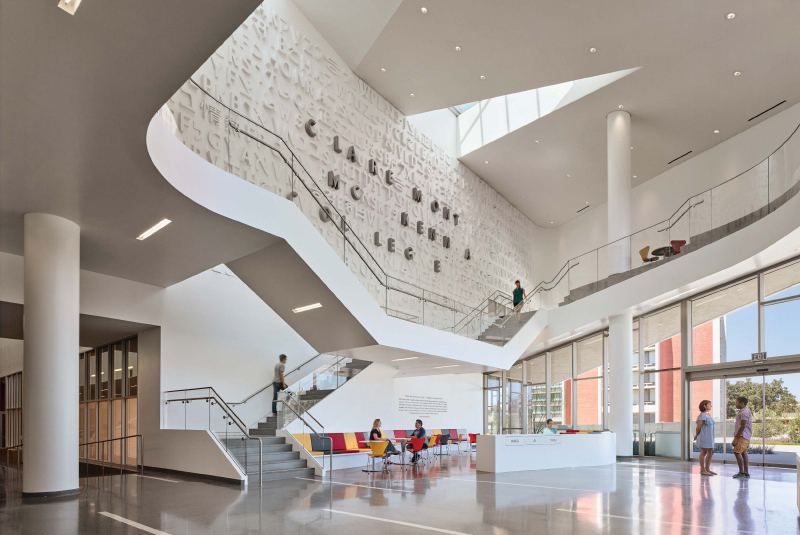 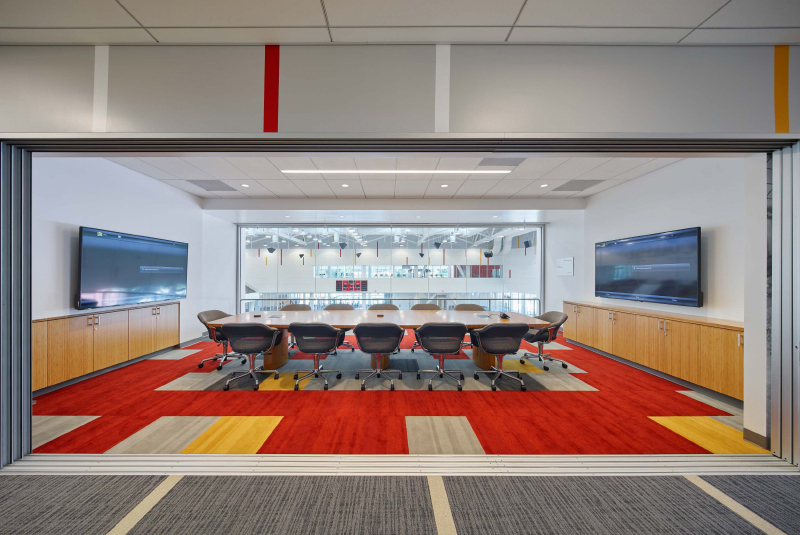 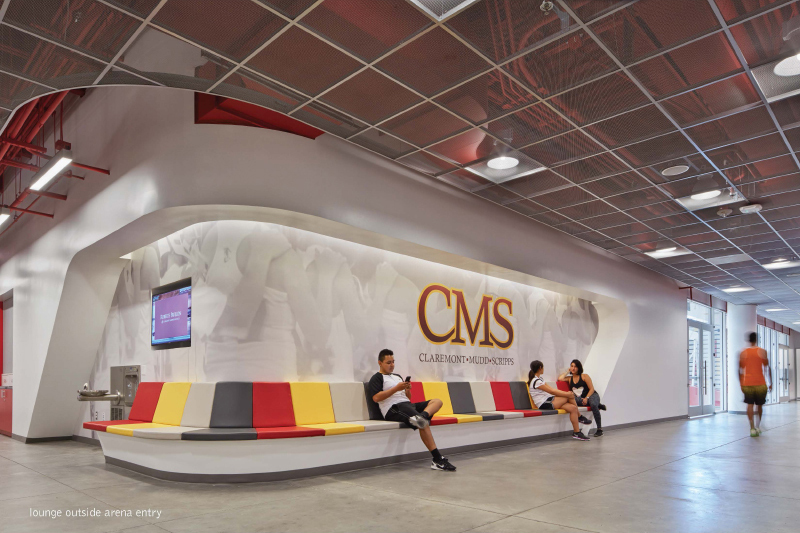 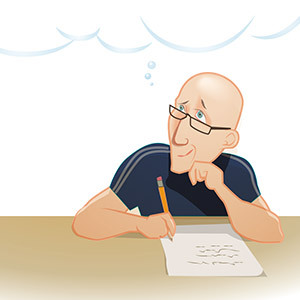 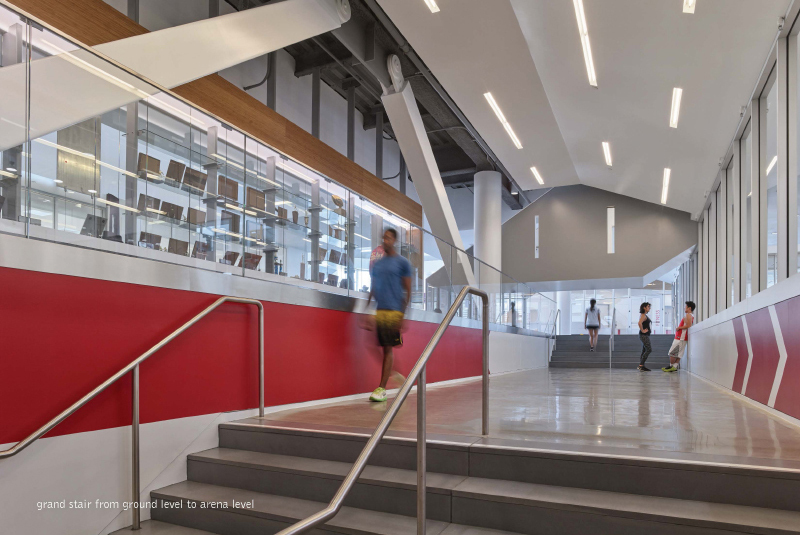 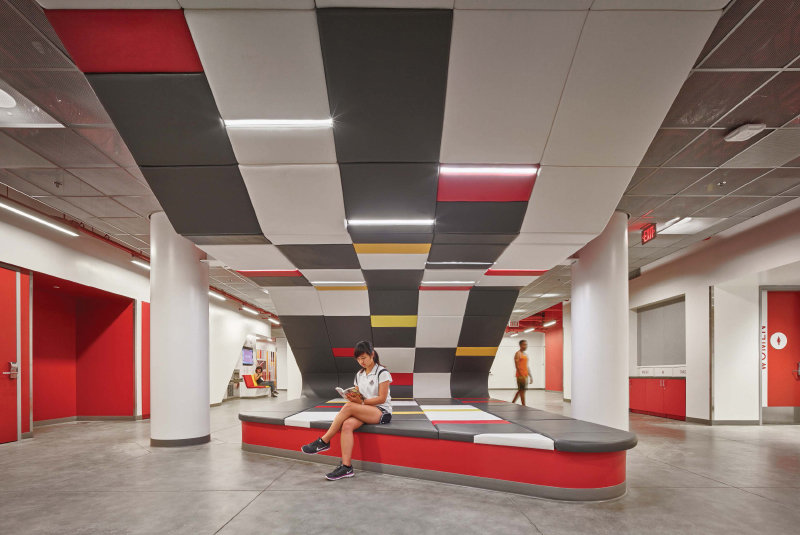 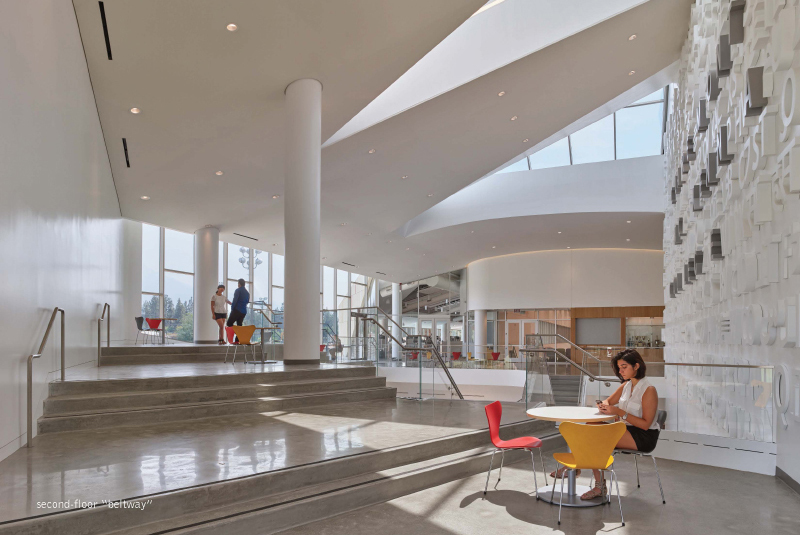 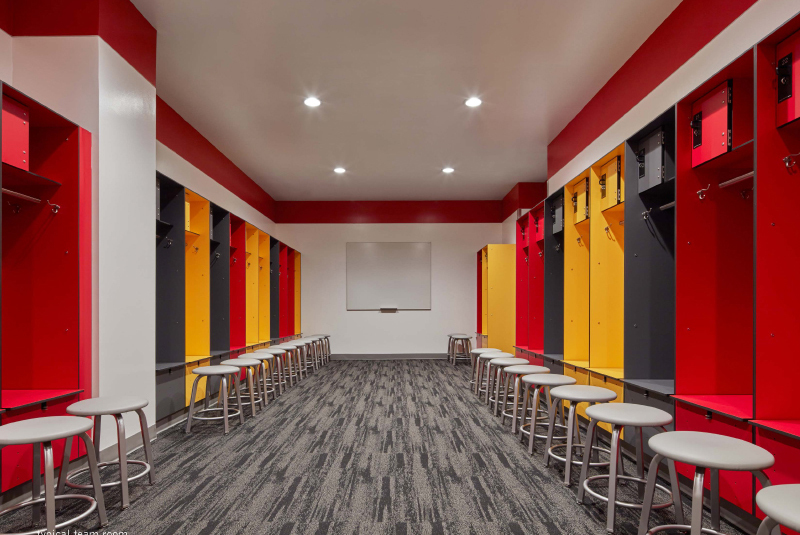 While the exterior design is self-contained, the interior’s overlapping circulation elements are more loosely conceived, inviting today’s mobile students to territorialize its spaces for study, exercise or socialization. 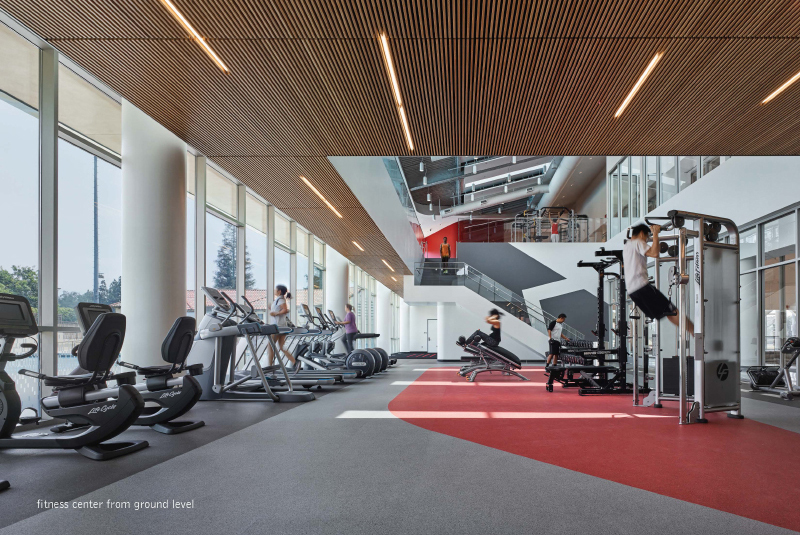 The structure’s interior transparency enhances that quality, inviting participation and creating a high level of synergy and community. 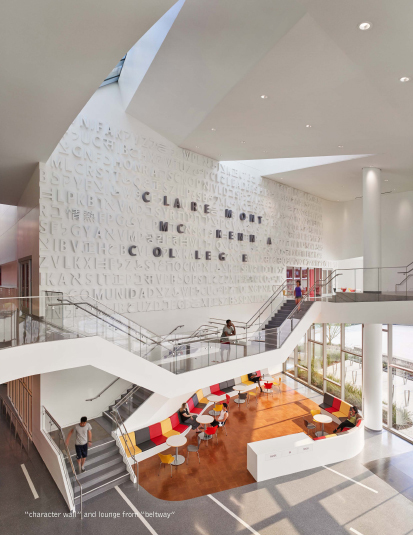 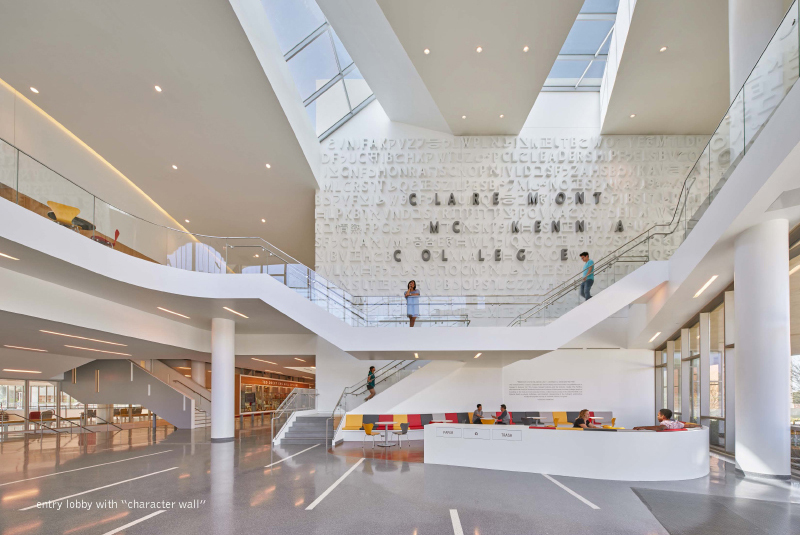 Nowhere is this more apparent than in the lobby, where a “character wall” displays important character-building messages in the 10 most commonly used languages on campus, reflecting the global outlook of the college. 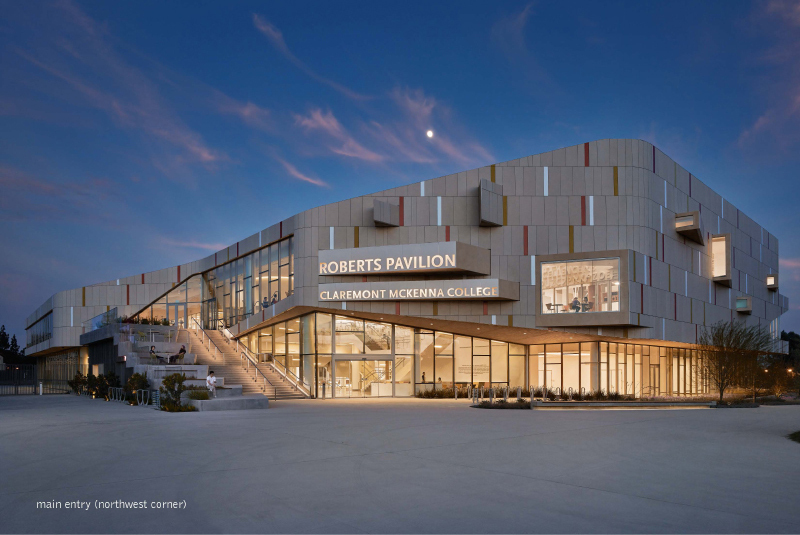 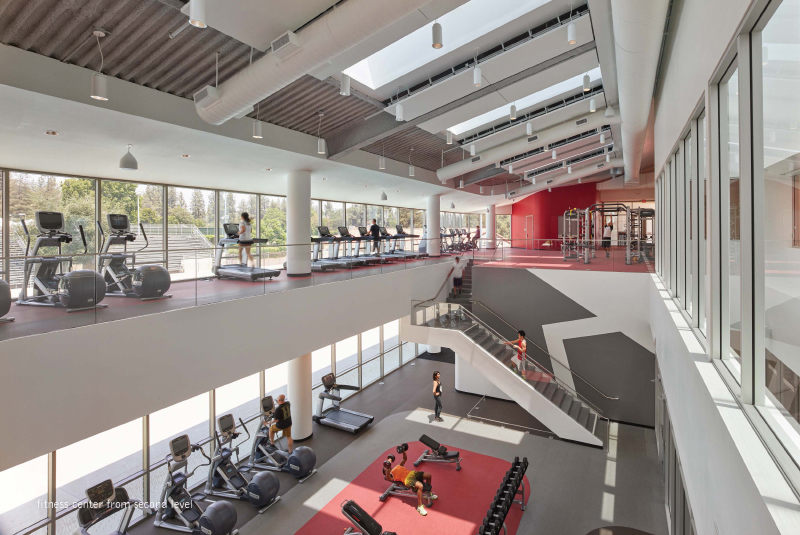 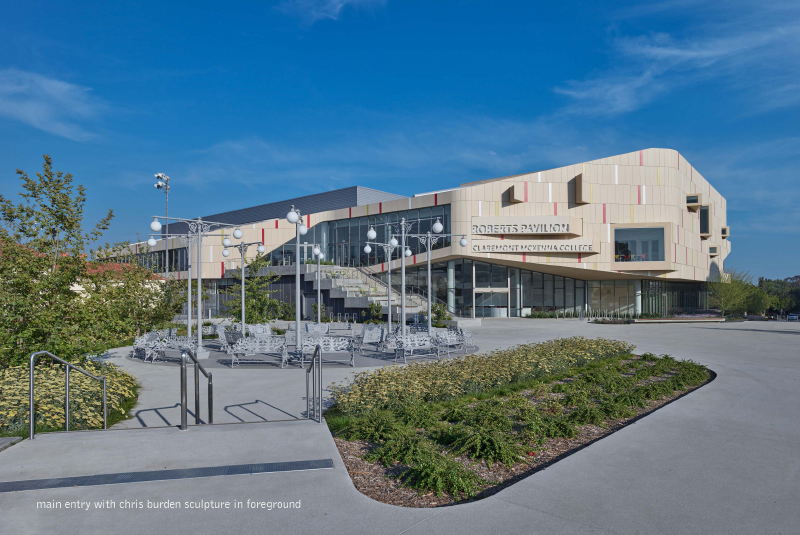 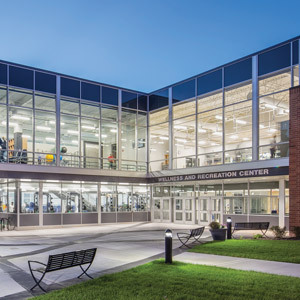 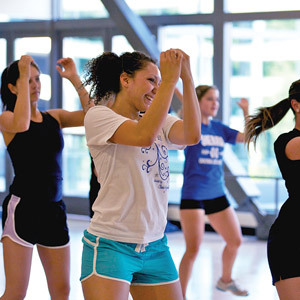 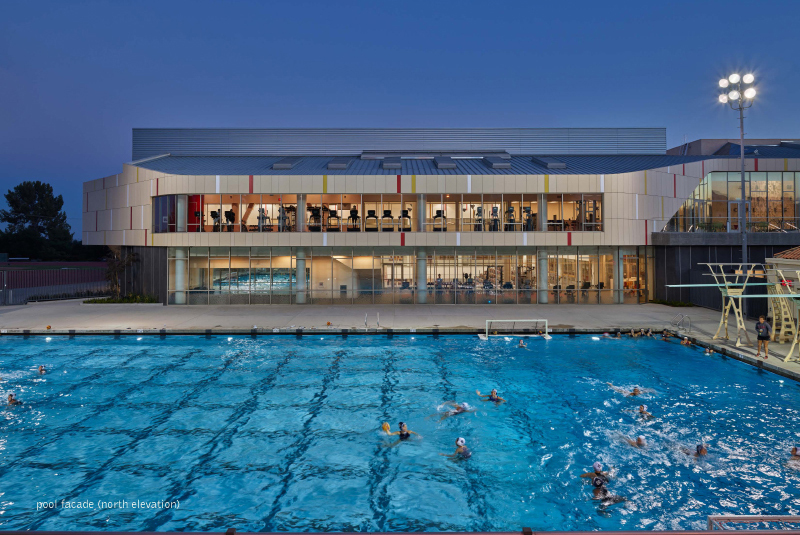 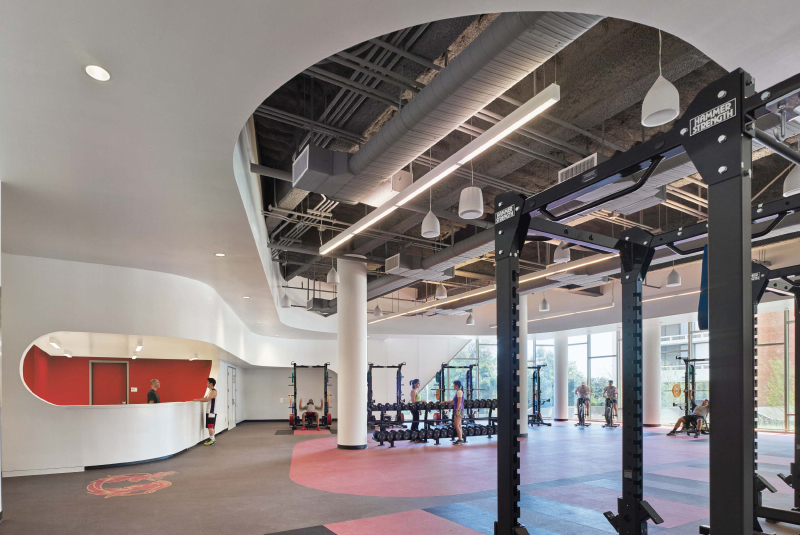 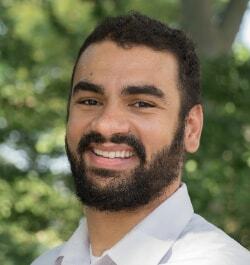 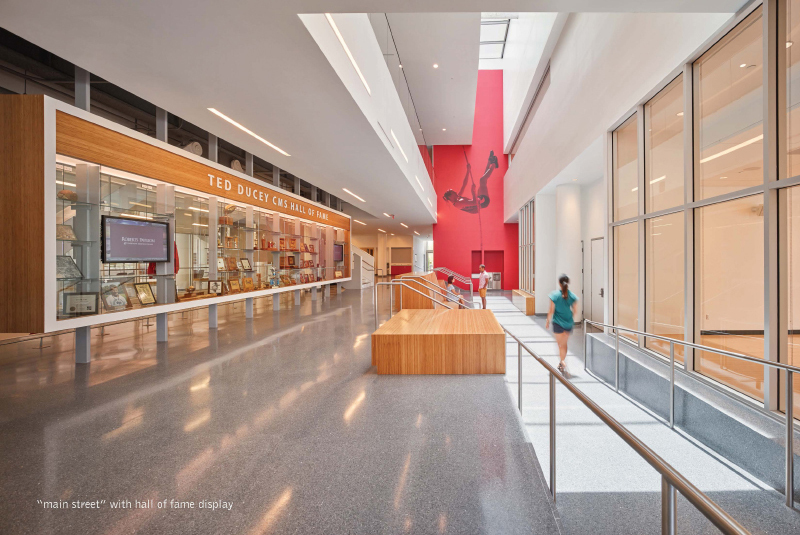 Since its opening, Roberts Pavilion has provided a dynamic environment, reflective of the values of the college, and conducive to social interaction, intellectual reflection, and physical activity — a place that nourishes both mind and body. 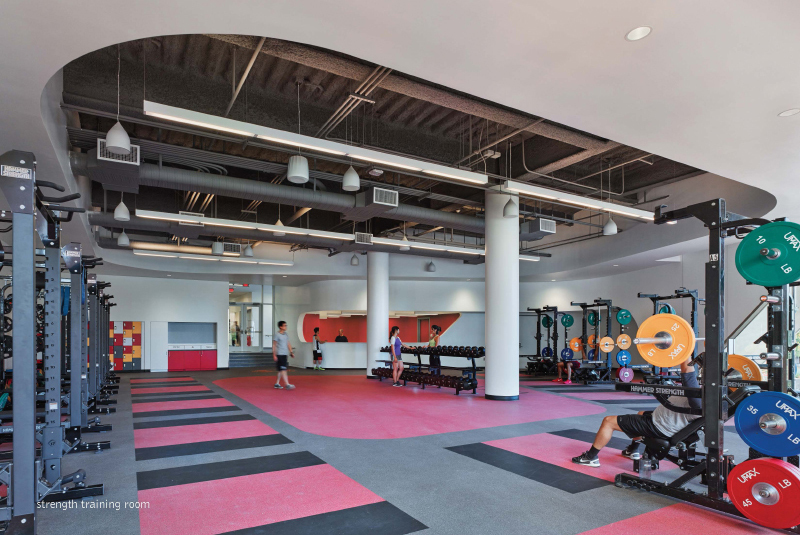 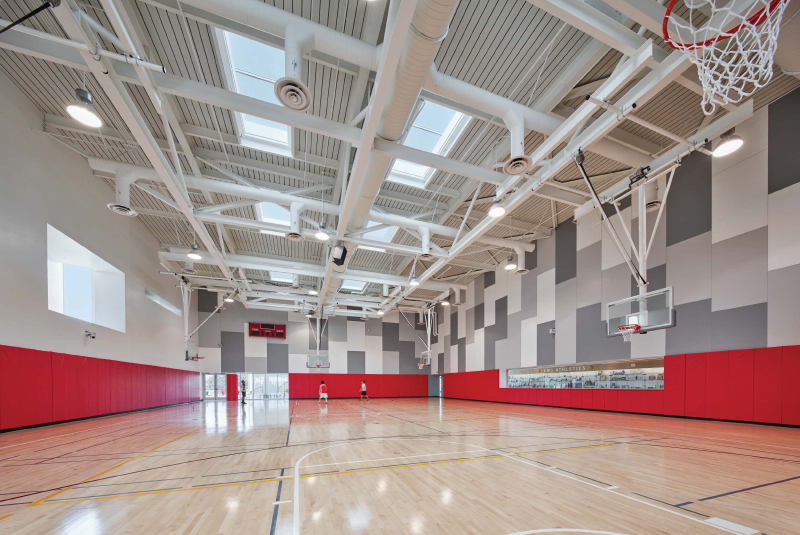 Fitness Center - Entertainment Systems: Sharp Electronics Corp.
Gymnasium/Field House/Arena - Wall Padding: Sportsfield Specialties Inc. 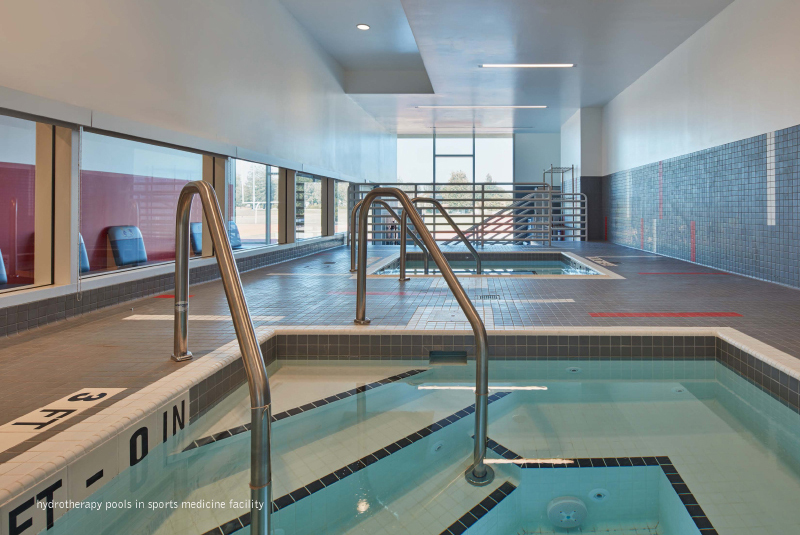 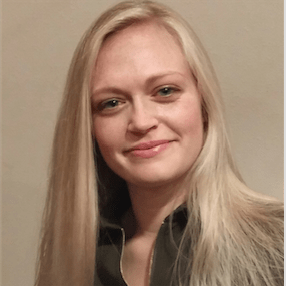 Pools - Chemical Control Systems: Knorr Systems Inc.